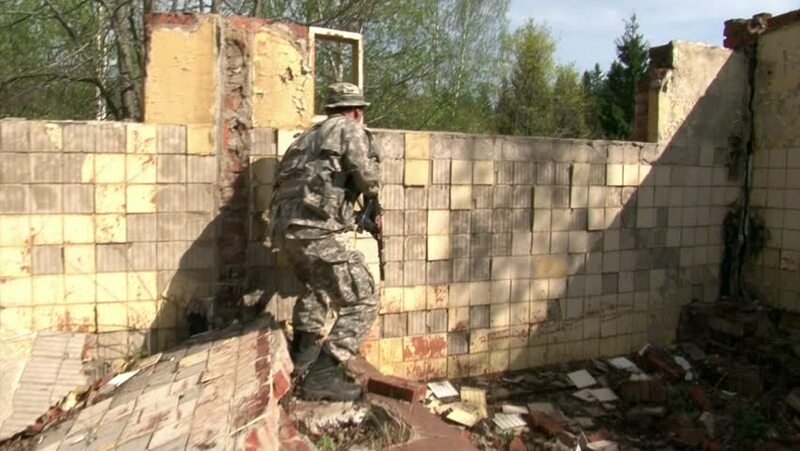 hd00:12Moscow, Russia - May 09, 2013: Man in military uniforms playing in ruined building of military polygon. People using airsoft gun. hd00:19RIO DE JANEIRO, BRAZIL - FEBRUARY 06, 2016: Tilt up to back streets of Rio favela. In 2008, Santa Marta was the first favela in Rio to be "pacified" under a state programme to expel its drug gangs.